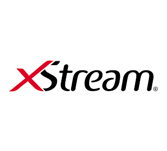 XStream is a easy Java-based library which is used to serialize Java objects to XML and vice versa. This will explain the basic features of XStream library and how to use them. This tutorial is useful for Java developers who are interested in understanding the basic of XStream library and use it in their Java programs. As XStream is a Java-based library, users should have clear understanding of Java programming to use this library.